Earlier this year we saw Satya Nadella unveil Microsoft’s vision of the future. The Microsoft CEO described the next big thing in computing as “conversation as a platform” – the notion of bots that can understand natural language. But has that ‘vision’ already started becoming a reality? 2016 has been fuelled with chatbot stories and announcements from some of the biggest companies in the world! The concept of building a bot a few years ago that would drive a small business into a success story may have sounded ridiculous to many. But was it really? 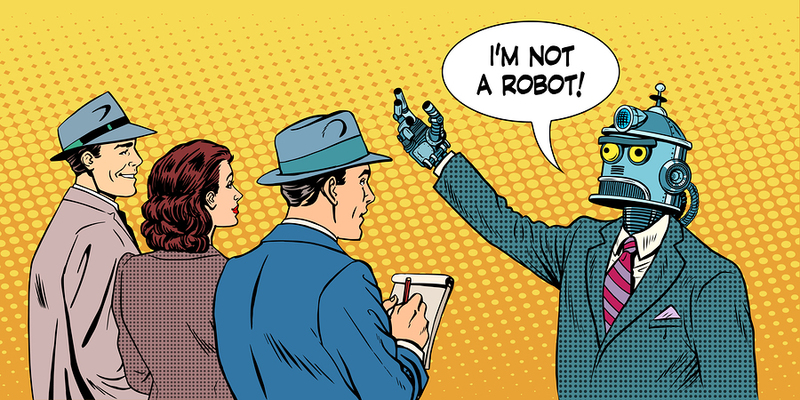 The world’s first robot lawyer? Take British teenage entrepreneur Joshua Browder. Back in 2014 he launched what was dubbed as “the world’s first robot lawyer” with DoNotPay. An artificial-intelligence lawyer chatbot that helps people contest parking ticks across London and New York. Admittedly we’re not all gifted teenage entrepreneurs attending Stanford University. But it’s proof that with the right mindset and idea you can do it yourself. You don’t have to work at the likes of Google, Facebook or Microsoft to build a successful chatbot from scratch. That said – the aforementioned companies have started opening up their bot frameworks to the world – allowing anyone to start building onto their platforms and opening up new ways to engage with a much wider audience. Satya Nadella predicts that chatbot interfaces will eventually overtake apps as the primary way we use the internet. Be it looking for information, taking food orders or even booking flights. The clever bods at Domino’s are constantly on the look-out for new ways to take orders from their customers. So in August 2016 they launched Dom on Facebook Messenger in the UK. Some people may wonder, why? Why would they invest this time and effort? Domino’s aren’t just a fast food company anymore. They are an innovative company who embrace technology and leave their competitors constantly playing catch up. Little under two years ago they saw 1 in 8 of the UK population download its mobile app. At the time 70 per cent of their orders were made online. So they invested in new ways to get in front of customers which included a collaboration with Microsoft to launch the Domino’s app on Xbox. This snazzy new tool (their words, not mine) was launched on Skype in August 2016 only a couple of months after its debut on Facebook Messenger. With an average 50m travelers searching for flights each month, Skyscanner wanted to make searching even more accessible. It may not be as straight-forward as ordering PIZZA but it turns other platforms into something more than just marketing tools. Skyscanner shared their thoughts – and who better to listen to than their very own Head of Bots and Conversational Search, David Low. “Skyscanner is always looking to offer our users fresh, innovative and engaging new ways to search for their travel . Chatbots offer something truly revolutionary by bringing travel search within the very platforms users are already interacting with on a frequent basis. Bots aren’t new to Skyscanner. They were the first travel search engine to integrate with Amazon Echo via voice service Alexa in November 2015. Earlier this year RBS ran a successful trial of an advanced ‘human’ artificial intelligence called Luvo. The pilot was rolled out to 1,200 staff who manage small business relationships. The purpose was to help customers answer questions as quickly and easily as possible but in a format of web chat. How can you follow suit? Here’s the keynote speech by David Marcus, VP of Messaging Products at Facebook looking at ways to build bots within Messenger. Can a chatbot be your personal assistant? With the exception of DoNotPay, these example integrations are making the likes of Microsoft, Apple and Amazon even better at becoming your very own personal assistant. Hey Cortana, tell me a joke! Microsoft started developing Cortana way back in 2009. It took five years before it was officially unveiled in 2014 at the Microsoft Build Developer conference. “With Cortana, you’ll forget less and do more. She’s your truly personal digital assistant, delivering them at the right time and place. Cortana helps you with tasks like sending emails, scheduling events and searching your devices, the cloud or the web. Hey Siri, are you real? “Talk to Siri as you would to a friend and it can help you get things done — like sending messages, making calls and finding restaurants. You can ask Siri to show you the Orion constellation or to flip a coin. Siri works hands-free, so you can ask it to show you the best route home and what your ETA is while driving. It works with HomeKit to let your voice be the remote control for connected products in your home. Hey Allo, are you as good as Cortana? The newest PA arrived last week to steal Siri and Cortana’s role along with this animation to explain exactly what it’s here to do. What role do chatbots have in the future? It’s difficult to predict how well adopted chatbots will become but it’s clear that they’re here to stay. In the future, will we be having conversations with people or robots? As natural language improves in computing, will we even notice the difference? From a business perspective this opens up a huge opportunity to improve inefficiencies. Can the chatbot replace the call centre offering 24/7 customer support? We’d love to hear your thoughts in the comments below. Will 2015 end in commercial success for small retailers? Are you a Scrooge or an Angel when it comes to organising a staff Christmas party? 5 Must Read Business Books!